The National Forest Policy aims and emphasizes at maintaining 33% of the country's geographical area under forest and green cover. In view of this and as a part of the 50 crore plantation programme within Maharashtra, the Maharashtra Forest Department aims to plant 4 crore saplings all over the State between 1st to July 7th, 2017 to celebrate 'Vanmohotsav'. The Government of Maharashtra has decided to increase vegetation cover in the State by planting 50 crore trees in the duration of 2017 to 2019. 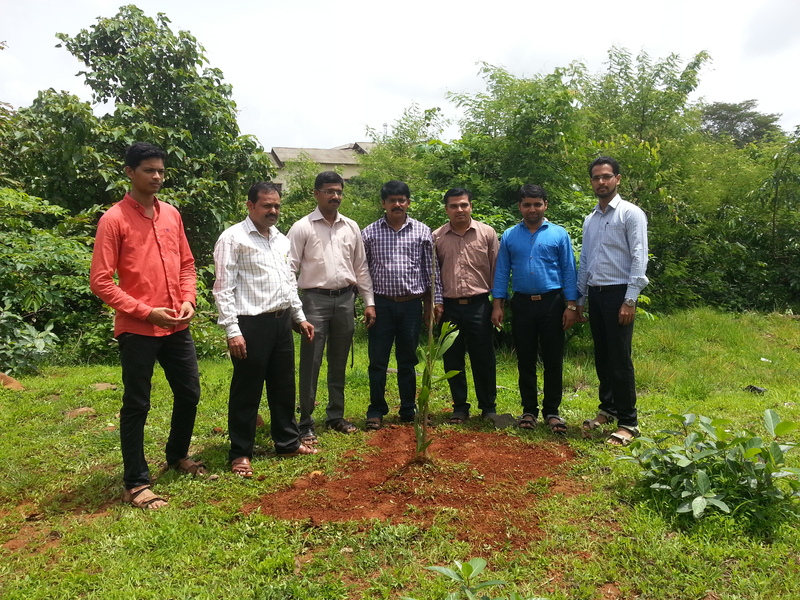 Following the same resolution, entire team of Rajendra Mane Polytechnic, Ambav organised a Tree Plantation Program on 5th July, 2017 under the guidance of Principal Shri. N. B.Bhopale. 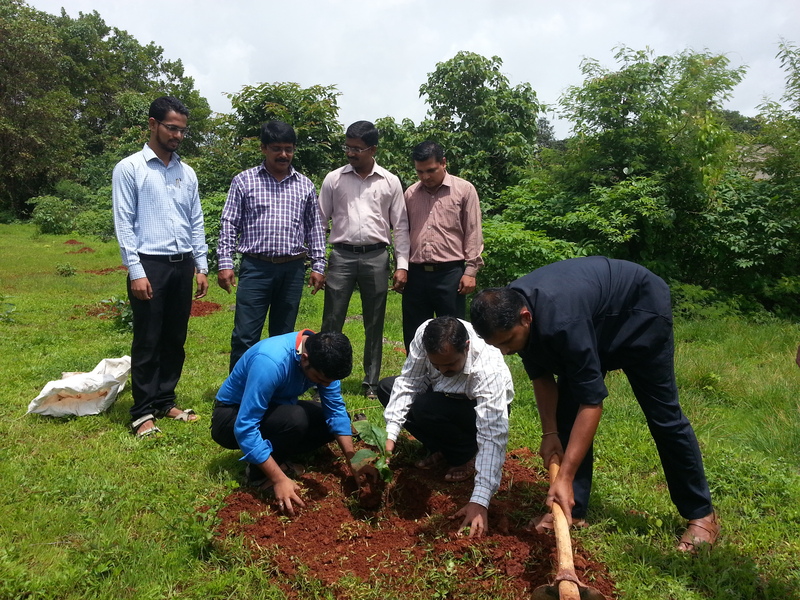 More than 100 saplings were planted on the day around the Sanstha Campus. 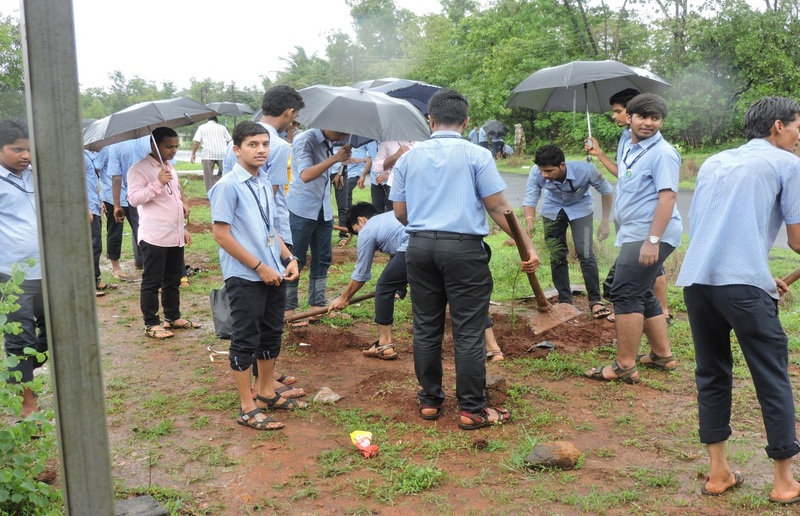 The students took oath to nurture and protect the planted saplings. The objective of the program is to support environment and climate literacy, by planting tree saplings and building awareness about clean energy.